Directional boring, commonly called horizontal directional drilling or HDD, is a steerable trenchless method of installing underground pipes, conduits and cables in an arc along a prescribed bore path by using a surface-launched drilling rig, with minimal impact on the surrounding area. 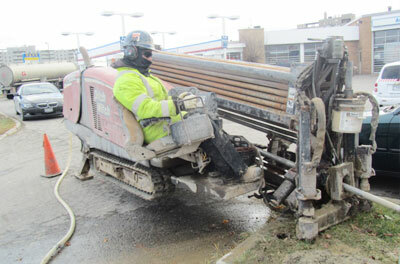 Directional boring is used when trenching or excavating is not practical. It is suitable for a variety of soil conditions. The Pipes used can be made of materials such as PVC, polyethylene, polypropylene, ductile iron, and steel. Stage 1 is drilling a pilot hole along the proposed design centerline. 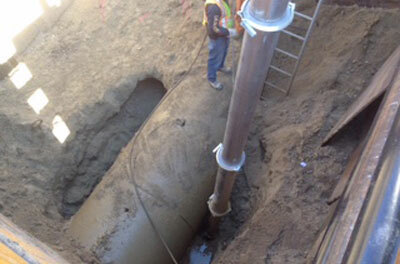 In stage 2, the pilot hole is enlarged to the desired diameter to accommodate the pipe size which can range from 2″ to 36″. Stage 3 the pipe is pulled through the drilled hole. 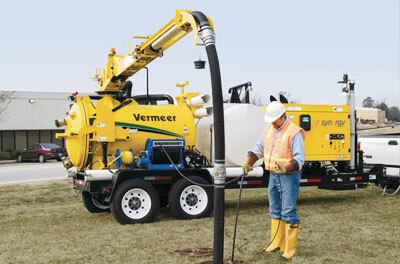 The use of boring machines and hydrovac trucks has increased drastically in the last 10 years as the need to upgrade, replace or build infrastructure has grown. The number of utilities in the ground and the cost to restore sidewalks, streets and boulevards have all combined to cause this growth. From the compact JT5 to the heavy-duty JT100 Mach 1, there’s an unbeatably efficient Ditch Witch® directional drill for every type of job site and installation. Get directional drilling 101 with this animated informational video from the global leader in underground construction.